New Wells Drug Home Health store. 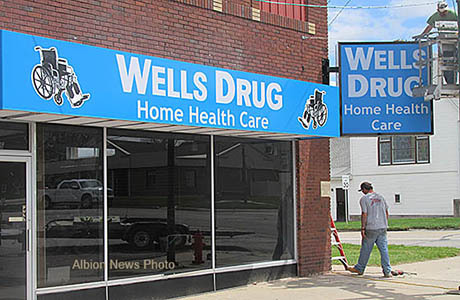 Wells Drug of Albion will be opening an additional store at 245 South Fourth Street for home health care products. Products will range from hospital beds, wheelchairs and other assistive equipment to C-packsk and respiratory therapy supplies. Opening is expected by mid-May.